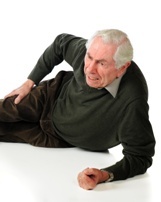 Falls are a leading cause of death and injury of senior citizens. According to the Centers for Disease Control and Prevention (CDC), 29 million seniors fell in 2014, resulting in seven million injuries and 27,000 annual deaths. When a business or person’s negligence causes an elderly person to fall, the victim should be entitled to compensation for his injuries. However, some insurance companies try to argue that the elderly person caused his own injuries. Because of the added challenges when filing these claims, it is essential to retain an experienced slip and fall attorney if you are older and suffer a slip and fall injury. Why Are Seniors at Higher Risk of Falling? Appliance and other electrical cords left in pathways or other areas where they create a tripping hazard. When a senior suffers injuries due to a slip and fall accident caused by another’s negligence, he has the same right to compensation as a younger victim. However, he may face additional challenges in obtaining the compensation he deserves. An insurance company may argue that the senior caused his own fall due to his lack of balance, poor vision, or other physical condition. Another argument that an adjuster could make to try to deny or reduce a senior’s claim is that the injury was caused by a pre-existing condition and not the slip and fall accident. If you are a senior who was hurt in a slip and fall accident, you need an experienced slip and fall attorney who understands the unique difficulties in these claims and can build a strong case for compensation. Call our office today to schedule a free consultation to learn how our experienced legal team can help you fight for the justice you deserve.